JOHN THE BAPTIST TV - "Kundalini Warning" - Andrew Strom, Paul Washer, Ray Comfort, Leonard Ravenhill	» CASTING ASIDE the CROSS! him be accursed” (Galatians 1:6-8). of the message of the cross of Jesus Christ. Lord than the idolatry of Israel. © 2012 World Challenge – a registered trademark of David Wilkerson. Posted in Uncategorized by Andrew on August 9th, 2012 at 7:55 pm. I believe if we reject the gospel of the cross, the true gospel, we are susceptible to deception in believing a false gospel. This will necessarily promote the self-life, which then entails some form of idolatry. Sorry, but we still see people bowing to carved images, as well as casting money at their base. I have seen this at a high class very expensive Catholic church building when we were invited to another event held there. Numerous people constantly carrying out this idol worship. Without death to our old self we can’t live in the power of resurrection life. Without the cross we are still in our own image and not in the image of Christ. If prayer and fasting and increased deviotional ferver delivers from wrath them Christ died for nothing. There will be no more delay. Let those pretenders and imposters that preach another gospel continue to do so – or not. Let those that do evil continue to do evil – or not. Let those that practice vile things continue to do so – or not. Let those that live only onto themselves continue to do so – or not. But Blessings be unto the children of Our Heavenly Father that do and teach what is right and continue to do so. Blessings upon those who are Holy and continue to be so.Gird self in Christ for some dark days ahead. Be bold enough to awaken with a song in your heart in spite of living on this infected planet for our redemption is nearer than some may be aware. The Kingdom of Our Heavenly Father is at hand– Believe it –or don’t. Be Bold – Be Courageous. Do not be afraid of the torments called down on this earth. After ALL– THE KINGDOM OF GOD SHALL REIGN OVER ALL THE EARTH, like it – or not. And still His arm is stretched out. Aren’t you tired yet children? The famine is only begun. He says when we acknowledge our guilt, in our affliction we will seek Him in earnest. When there is no vision the people are unrestrained , in those days there was no king and the people did as they pleased. The church of the Laodiceans, means a people of their own judgments or opinions. The Lord said a body thou hast prepared for Me. Today it is a headless body, we cannot modle a body. We are or we aren;t. Our Father has only one Son and in the earth He has His body’ but the only one with the pattern and the keys is the Holy Spirit, the promise of the Father. Because you have rejected the Spirit of truth and do not love the truth you are believing a lie. The lie is you can be in the kingdom and under the new covenent apart from the Holy Spirit. Those today who do have the Holy Spirit treat Him as an app. Using Him when they have certain needs or want to chalk up accomplishments on their score card. When the Spirit of Truth shall come He will lead you into all truth and He will disclose Me and show you things to come. You have no need of men to teach you He will lead you into all truth. The Father planted only One seed in the earth, His Son and He is coming looking for fruit, Christ in you the hope of glory, do not be conformed to this world , for you become the enemy of God, however be transformed, metamorphosed, by renewing your mind. The transformation requires two elements 1. the Holy Spirit 2. rest. When you enter into His rest you have ceased from all your labors. A law will go forth from Me, I will make My judgement to rest a light to the peoples. With stammering lips and another tongue I will speak to this people, there in is your rest this is your repose. But you would not. So for it will be back to the tree of death vainly trying to discern Spiritual things by the carnal mind. Come let us return to the Lord for He has torn us but He will heal us and raise us up on the Third day that we may live before Him. Consider yourself as the caterpillar who is earth bound and whose destiny is to be heavenly, yet you cannot in your won strength become your destiny. You must enter rest , the cocoon. The Lord said if you keep this life you will lose it but if you lose it form My sake you will find it to eternity. It is glory He is looking for the same that was in His son and while it is bound up in all these earth dwelling saints it is not being released yet. But remember the words do not disturb My beloved until she desires. Only the heart cry to the Father to reveal His children in the earth will succeed, for He says ask Me about My sons and you commit me to the work of My hands. The gospel without the Cross and heralding the “New revelation of Grace”, has to be The Strong Dillusion of 2nd Thes 2:11, and why does God do this? 2nd Thes 2:10…………….because they receive not the Love of Truth.. Excellent article Andrew, thank you for sharing this! AMEN!! Amen, excellent. And so are the comments so far. The Holy Spirit could not come , for Jesus was not crucified yet (John 7). So great a gift and what a price ! The Bread of Life who was pierced is poured from heaven in the belly of the hungry who turns to Jesus and Him crucified. He is the Way , the Life and the Truth. There is no other Way Life and Truth ! … despite what man can say with his tortuous thoughts , vain agitation , and self-preservation to not give up everything he is and does which do not endure forever , to Him. spoke the same thing that this very article talks about….THANK YOU, JESUS !!!! I pray it shook my Pastor & Evanglist, that has been letting unspeakable things happen, in the revival that has been going on since the 15th of July…PLEASE PRAY THAT TRUE REVIVAL HAPPENS , in Highlands, Tx. I was in a church service once (in our church where we attended for years and years) where a prophetic minister was speaking. He suddenly looked at a young girl in the service,around 18-19, and asked her if she was born again. “Yes”. How do you know? ….no answer…. Did you ask Jesus to be your Lord. Did you repent from any sins you have ever committed? Have you ever been baptized? “no”. So here was this girl who had come to church faithfully and regularly for months and months and months, yet had never really met Jesus. She was a nice girl, acted like a believer, was demure, kind….. but not born again. What a failure we were to not feel the conviction to see to this little one’s salvation. She heard all the messages about God’s love, God’s grace, God’s desire to make us whole and provide for us, but never really the message of the cross. It was tragic. We left the church right around that time (about 15yrs ago), and it has since fallen apart. Only a few people go there now, maybe 6-8 or so. And the thing is, the ministers there are believers, all the people there were decent people with true hearts. But we were a failure at what was important, and we didn’t even know it. The message of the church was misplaced from salvation to other things that are not as important. And if a man of God hadn’t stood there and told the little girl the message of the cross, the offering of the sacrifice of the Son of God for her, would she had heard it? or would she have kept hearing things about God’s healing power, His desire to care for you (providence), His desire for you to serve others, etc? This is a wonderful message from Wilkerson. Thank you for posting it. Is not the greatest idolatry participating in false religion resulting from unbiblical unity at any cost with false or unbiblical religions. Unbiblical ecumenism is an abomination to God as it is IDOLATRY satanically inspired and driven by man. The Cross of Christ provides the means for us to have faith in Jesus Christ alone for our salvation and justification before God. This great liberating fact enables us to live a life pleasing to God as we seek to achieve conformity to HIS plan and purposes as revealed to us in HIS WORD THE BIBLE which alone provides information on matters of faith and morals in accordance with the plan and purposes of God. No man can come unto the Son, unless the Father draws him. How then is men drawn unto Yeshua? Well, when He is lifted up on the cross, He will draw all men unto himself!. My conclusion, therefor,: In my crucified lifestyle, Yeshua is seen on the cross and it will draw people unto Yeshua. It is a work of the Holy Spirit and promises no wealth or easy ride, but eternal peace with our Creator. The Cross is the only way to draw men unto Christ! Not only the preaching alone, but the lifestyle of The Cross that goes with it!! Terrible compromise from high level leadership is everywhere one looks. And these are the very ‘basics’ being sold down the river. Hard to believe. We have to be in the Last Days. I agree with what our brother said about the cross. I thought of another scripture in Jeremiah as I was reading. Grace and His Commandments ….yes we are blessed. It is the sacrificial offering of Yeshua and HIS BLOOD that restored our relationship with Abba and has opened the pathway to live righteous and holy. Too much emphasis on the cross (a piece of wood…NOT to be extolled) and a lot less emphasis on how to live life following the way of our Master. Is it any wonder the preaching of the truth has been compromised??? Man created a different lifestyle other than the remembrance and honoring of Sabbath which is a sign of true belief and will identify those who love YHWH with all their heart and strength. Christianity cannot refute the blatant hypocrisy of the 4th commandment’s modification. Repent and return to YHWH through Yeshua Messiah. He will then heal our land and restore us. Obedience matters!!! @ Andrew – Thanks for continuing to put out articles that preach the truth. For the longest time, I have been upset with the Church because of the way it preaches salvation without taking up your cross daily or losing your life in this world. I just don’t see how Christian leaders today can say of a truth that they are not friends with the world or that they have given up on this life in order to take up their cross daily. Everything about today’s preaching is about continuing in this life and USING God to establish your name on this earth. Where are those leaders that are dying to their name and not continuing in the model of life given by those of the world? @ Gary Gorham – I really love what you wrote because it’s the truth. There are very few these days who speak the truth, who aren’t just repeating the lies preached by so many self-important pastors out there. I’ve been saying for a long time that it’s not the pastor who gives us insight into truth but the Holy Spirit. I keep trying to tell people that pastors are not meant to be in the position of leading the Body. Jesus leads the Body and He does so through the Holy Spirit. Pastors are to preach the truth, period. Not to influence people or convince people with words. 1 Cor 1:17 For Christ sent me to preach the gospel, NOT WITH WISDOM OF WORDS, lest the cross of Christ be made of none effect. Seeking to be an influential preacher, where you are dependent on your preparation rather than the Holy Spirit, makes the cross of no effect. How can dying to yourself so that the Holy Spirit would bring you into all truth be possible when people are still continuing to depend on themselves and their name for power and influence? 1 Cor 1:23 “But we preach Christ crucified, unto the Jews a stumbling block and unto the Greeks foolishness.” Why is the cross a stumbling block and foolishness? Because the Jews lived by what they did and the Greeks by what seemed wise in this world. Preaching a way to the Father through Christ and not through one’s own works is a stumbling block to those who preach salvation through works. Dying to our lives on this earth instead gaining our salvation through the cross is a stumbling block to the way of the OT Jews. It’s foolishness to the Greeks because you don’t preach without knowing what you’re going to say. You don’t show up in weakness to make an impact in people’s lives. You don’t die to who you are in this world and give up control of your life so that you can have faith in the unknown will of God. Lastly, you don’t learn by the Holy Spirit when there are pastors with Masters and Doctorates able to teach you. It’s foolishness to them. In the same way, there are those who say they are believers in Christ who do not preach and live by taking up their cross daily. They still depend on themselves for action. They preach a gospel without the cross and without the leading of the Holy Spirit. the idolatory of this world is not the crossless church but the church that does not have a foundation on the living resurrected Christ Jesus. an pagan unbeliever knows about the crucifiction as thats History. But talk about Resurrection is a nother ball game !!! We dont worship Jesus on the cross.. He is no longer there. The Old Covenant was finished when He died there, the New Covenant of Grace began when He rose and thius is when Jesus received all power in heaven and in Earth and He is able to save us to the uttermost.. all by Grace and we can’t help Him do it. So many idols in this world. If we do not die to ourselves and live for Christ and to Christ with Christ always before us leading, we will fall prey to one of these idols. Thank you Andrew for sharing David Wilkerson’s sermon with us! It was and is vital! Jesus prophesied in Matt. 24 that this would take place calling it “THE END OF THE AGE” – He Said that the love of most would grow cold and many would come in His Name claiming to be Him – Another Jesus not THE Matt. 16 Christ, the Son of the Living God! There are over 33,000 (And counting) Born Again, Bible believing Jesus’s around – In Matt. 16 before Christ had even died there were “other” Jesus’s around – A Jeremiah Jesus, an Isaiah Jesus, a John the Baptist Jesus and one of the other Prophet Jesus’s! Just after His death, Ressurection and Ascension in 1 Cor. 1:12 the Church in Corinth were now following a Paul Jesus, an Apollos Jesus and a Cephas (Peter) Jesus instead of THE Christ the Son of the Living God whom the Gates of Hades will never prevail against. Seeing and hearing about all that is going on in His Body at this time does not surprise me anymore but what really is sad is the testimony they represent to those on the outside looking in. I do not think people are trying to take the execution stake from the gospels. It is very important. It is people bowing down to the image of the cross that the problem. We were instructed to not bow to any graven image or idol, and from the many churches I have been in, it seems to me, people believe the cross has Yashua in it or is a living breathing thing. Dying on the cross was the means by which Jesus provided for our salvation. In spite of the anti biblical teachings of Word of Faith heretics and other apostate groups the Bible clearly teaches that there is NO one else and never has been anyone else able to do this. The original authentic Jesus – Deity come in the flesh to fulfill this specific purpose is the only one able to provide this salvation and He offers this to all by faith in HIM alone. Faithfulness to HIS WORD complements this saving faith by providing a way for us to know the mind and will of God. Conformity to HIS Word is the primary prerequisite to facilitate conformity to HIS WILL and purpose. The Apostle Paul himself dealt with excesses of legalism and antinomianism in HIS day. Those who truly know and love the Lord JESUS Christ know and obey HIS Teaching as presented to us in the Bible. This of course is the only way to avoid the idolatry of association with the plethora of false religion or belief systems which might distract us from faithfulness to HIS WORD. Adam and Eve fell for the line “Did God really say that.” The committed Bible believing christian will be ready with the answer on which their eternal destiny depends solely because of that simple commitment to HIS Word. Faith in Jesus Christ and Faithfulness to HIS Word is what God requires and is what the delusion HE has sent into the World in accordance with HIS Word is testing. The Holy Spirit facilitates and empowers one for conformity to HIS Word for God has indeed elevated HIS Word above HIS Name. God’s Word is His communication, His promise, the revelation of Himself to His people. It is to be a lamp to our feet in a dark and fallen world, without it we would have no way to know God or how to do God’s will and this is when idolatry becomes acceptable. Throughout scripture we have a consistent theme of the dichotomy of light versus darkness. The world we live in is darkness reserved for judgment. John the apostle in 1 John 1:5 tells us God is light. Light is God’s very nature, it represents to us Holiness and perfection. This is why we often read that a physical manifestation of God ‘s glory is light or fire. Sin is associated with darkness and judgment. It implies imperfection, and principally ignorance, sinfulness, and misery. Idolatry is sin. The Psalmist asks Ps 119:9 “How can a young man cleanse his way? He answers, “By taking heed according to Your Word. Just a few more verses later v:11 “Your word I have hidden in my heart, That I might not sin against You.” God’s word keeps us from sin and keeps us on his path, as the Word is a lamp to our feet and a light to our path (Ps.119:105) in a dark world. Ps. 43:3 Oh, send out Your light and Your truth! Let them lead me. As one reads the psalms one grasps the importance of the Word to the the people of Israel, especially the leaders. So HIS WORD becomes and must always remain the focal point in our daily walk with Christ if we are to avoid the Idolatry this article refers to. ” .. contend for the faith that was once for all entrusted to the saints. In this vein of contending, we can pray for the true gospel to be restored to the ekklesia of Christ in the way that Paul entered again into intercession for those believers who had come under deception (although a different one) according to his statement in Galations 4:19. We should do this from a position of humility in the knowledge that, but for the grace of God, we too can be deceived or fall into some area of deception, and that He alone is the author and the finisher of our faith. Having read most of the contributions so far I want to add a note which set me free regarding the danger of being entraped by the excesses we see and hear about in the Body of Christ regarding Gods Word at this time …. When God sets out to bless His people He doesn’t do it by demanding that they change their behavior . He does it by bringing them back to faith in the cross again- plus nothing! When God sets out to bring His wrath on a people He does it by letting them alone to pursue a righteousness I their own through their own behavior and shuts them out from the righteousness that comes by faith I’m the cross of Christ alone. It is not the cross we need to have faith in. We must have faith in Yashua. The cross was only a means to put him to death so that the bride could remarry. The Cross is, of course, symbolic of HIS sacrifice to enable us to be redeemed and thereby have fellowship with God the Father. His Holy Spirit is available to empower us to then live by faith in accordance with HIS WORD as presented to us in the Bible. Faith in Christ and Faithfulness to HIS Word are the means God has provided for us to avoid the idolatry this article is addressing. The cross being discussed is not just the wooden cross on which our Lord was put to death. It is the whole doctrine of atonement, Christ crucified as our only Savior. God is just: He will pay back trouble to those who trouble you 7 and give relief to you who are troubled, and to us as well. This will happen when the Lord Jesus is revealed from heaven in blazing fire with his powerful angels. 8 He will punish those who do not know God and do not obey the gospel of our Lord Jesus. What is more, I consider everything a loss because of the surpassing worth of knowing Christ Jesus my Lord, for whose sake I have lost all things. I consider them garbage, that I may gain Christ 9 and be found in him, not having a righteousness of my own that comes from the law, but that which is through faith in Christ—the righteousness that comes from God on the basis of faith. 10 I want to know Christ—yes, to know the power of his resurrection and participation in his sufferings, becoming like him in his death, 11 and so, somehow, attaining to the resurrection from the dead. There is a sonship, to be revealed in us. There is a glorious lifting up. But it is done by God in response to our obedience and sharing in the suffering of Christ. We are to follow Him. Walk like Him. With the certain hope that we will share in His ressurection. Listen to The Spirit. He will lead you to rule in this life through one Christ Jesus – not by your pride and exclamation of your own glory, but by humility and love, kind and gentle spirit, obedience to the small voice that will always lead you to be the least, like our Master did. Amd then God lifted Him up! It is The Father’s decision, and the Father’s timing. Don’t rule like the earthly rulers, lording it over every one. Kingdom principles are ALWAYS DIFFERENT FROM THE EARTHLY PRINCIPLES. That wich seems foolish, is what is wisdom with God. All glory and praise to Christ Jesus our risen, (and soon returning) Lord and King. This article refers to the dangers of being lured into the idolatry of false religion which is ever before us. The Word of God is made available to us not only so that we might KNOW HIS WILL AND PURPOSE but also to warn us of the “ravenous wolves” masquerading as leaders within the church who would lure the non discerning into the idolatry of false religion and the certain judgement of God which follows. 8 ……… godliness is profitable unto all things, having promise of the life that now is, and of that which is to come. It is, of course, impossible to live by the Holy Spirit without being in accord or harmony with HIS WORD. Similarly it is impossible to live in accordance with HIS WORD without living in the Holy Spirit. Each dimension of genuine christianity provides the proof by which we are able to evaluate the other. Faithfulness to HIS WORD is the price we must pay. In recent days I have been dialoging with several from the Jewish community who subscribe to a bloodless sacrifice for atonement. It is, apparently an essential doctrine of the Jewish faith, which is to say they believe many things: good works, repentance, prayer, etc., can atone for sin; that blood sacrifices are no longer necessary. Never more than today do I understand how essential is Christ’s death on the cross. Not only does it fulfill a myriad prophecies and “types” from antiquity, but it is the only effectual means of atonement. Without it, we are still in our sin. We know the scripture tells us that life is in the blood, and certainly it can be said that “our life is in HIS blood”. It may not be popular pulpit fare, but it’s central and foremost in “need to know” teachings. I think the problem could be something the Lord showed me years ago. He showed me that many of His people do not really believe in the resurrection within their hearts, but just give it intellectual assent. Unless we truly believe there is a resurrection, we will not be willing to take up the cross. The cross of Christ needs to become wisdom to us. For everything we are willing to give up of ourselves, He will replace it with something much better, Himself. I think Paul said it best in Philippians 3:5-11:circumcised the eighth day, of the stock of Israel, of the tribe of Benjamin, a Hebrew of the Hebrews; concerning the law, a Pharisee; concerning zeal, persecuting the church; concerning the righteousness which is in the law blameless. But what things were gain to me, these I have counted loss for Christ. Yet indeed I also count all things loss for the excellence of the knowledge of Christ Jesus my Lord, for whom I have suffered the loss of all things and count them as rubbish, that I may gain Christ and be found in Him, not having my own righteousness, which is from the law, but that which is through faith in Christ, the righteousness which is from God by faith; that I may know Him and the power of His resurrection, and the fellowship of His sufferings, being conformed to His death, if, by any means, I may attain to the resurrection form the dead. Laurie, I think indeed that there is a great lack of “heart faith” today. We need those anointed gospel preachers back! 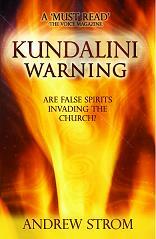 I am fed up of being in churches where the pastor is promoting his latest book. What about THE BOOK that we are supposed to live by – every word of God! I wish pastors would spend more time promoting God’s book than their own!!! His observation proven to be quite prophetic in terms of the contemporary church in general. I’m becoming much more acquainted than I ever wanted to be with what Paul calls in Gal. 1:6-8 “another gospel” which, in all truth, is no good news at all. Those who prefer this ‘gospel’, at least those I am becoming ‘too close with’ are very brazen and have no fear at all of God. They operate by this ‘gospel’ and under the spirit behind it (the religious spirit which is an evil spirit masking as Jesus but not requiring any holiness “without which no one will see the Lord”). But it’s as the Bible said– that in these last days, the end will come as it did in the days of Noah: people will be living life as if there is no consequence. Jude said he was eager to write the Church ‘in fellowship tones’ but that a great number of false ministers and brethren motivated him to instead urge the Church to contend for and stand in the faith (truth, salvation) that was fully (with no additions or subtractions accepted or needed) delivered to the Saints. In beautiful but foreboding language, Jude tells of the total despair that lies in wait for such false ministers. I am coming to learn that it isn’t only ministers who fit the category of “wandering stars for whom the blackness of darkness is reserved forever” but also false brethren who cast off all restraint and live after false ministers. The forecast for those who promote this false ‘gospel’ are bleak (“clouds without water”), and the verdict for them is not flattering (“trees twice dead, pulled up by the roots”). In light of the imminent judgment on promoters of this false ‘gospel’, Grace sounds more and more appealing to me everyday. I must decrease that He may increase. Less of me, more room for Him!